New Horizons carried out its last trajectory correction maneuver on approach to Ultima Thule last week, a short thruster burst to direct the spacecraft closer to its precise flyby aim point just 2,200 miles (3,500) above the mysterious Kuiper Belt object at 12:33 am EST on Jan. 1. At 7:53 a.m. EST on Dec. 18, New Horizons fired its small thrusters for just 27 seconds, a 0.26 meter-per-second adjustment that corrected about 180 miles (300 kilometers) of estimated targeting error and sped up the arrival time at Ultima by about five seconds. 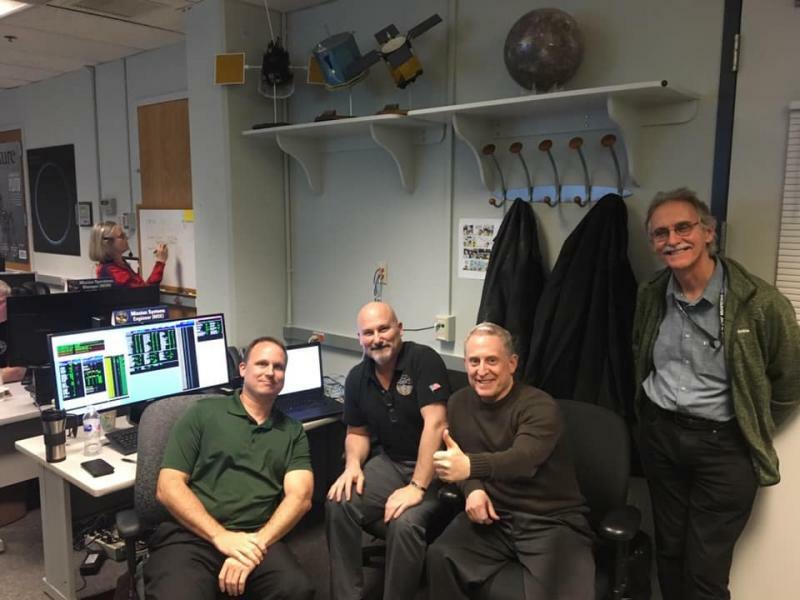 Data from the spacecraft confirming the successful maneuver reached the New Horizons Mission Operations Center at the Johns Hopkins Applied Physics Laboratory in Laurel, Maryland, through NASA's Deep Space Network, at 4:34 p.m. EST the same day. 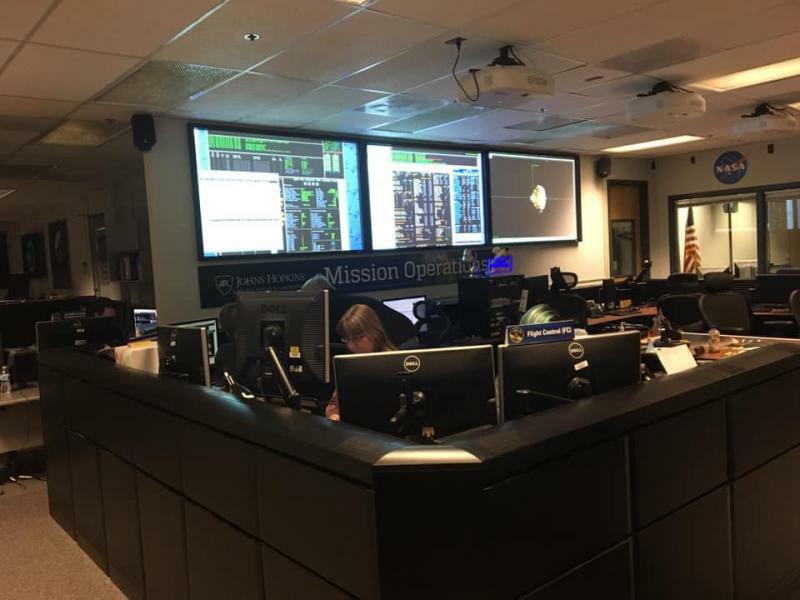 "From mission design to navigation to operations, this entire team worked very hard to get the spacecraft where it needs to be for this historic exploration in the Kuiper Belt," said Alice Bowman, New Horizons mission operations manager from APL. 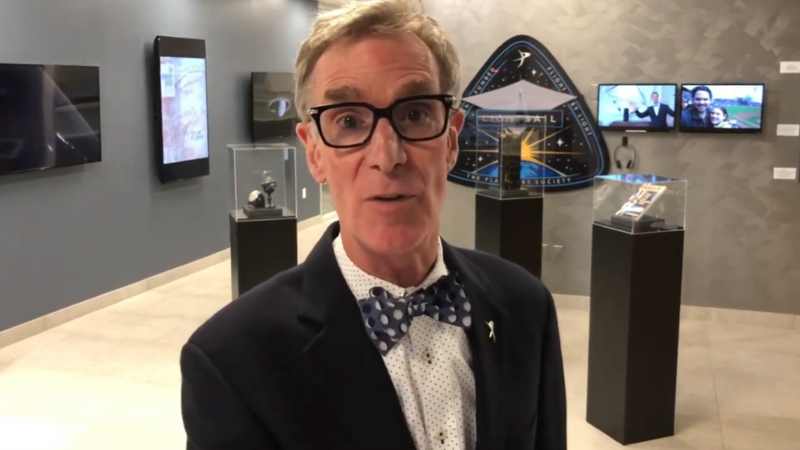 "After guiding New Horizons for 13 years and more than four billion miles, we are poised to conduct the farthest flyby in history and reveal a new world." The maneuver was the farthest spacecraft course correction ever conducted, carried out while New Horizons was about 4.1 billion miles (6.6 billion kilometers) from Earth. At that distance a radio signal from the spacecraft – traveling at light speed -- needs just over 6 hours to reach home. After almost three weeks of sensitive searches for rings, small moons and other potential hazards around Ultima Thule – and seeing none –New Horizons Principal Investigator Alan Stern opted last week for the project to remain on a path that takes it about 2,200 miles (3,500 kilometers) from Ultima, instead of a hazard-avoiding detour that would have pushed it three times farther out. The dozen-member New Horizons hazard watch team used the spacecraft's most powerful telescopic camera, the Long Range Reconnaissance Imager (LORRI), to look for potential hazards. Examples of some of the images the team used to conduct its "deep" searches are below. As seen from the spacecraft, Ultima Thule (officially named 2014 MU69) appears to be in the constellation of Sagittarius, hovering in front of the heart of the Milky Way, not far from the central plane of our galaxy. The image field is filled with stars in the most crowded and rich area of the sky. The arrow marks the location of Ultima Thule in each sequence.